Xiaomi has launched a new Microsoft Cortana powered smart speaker called Yeelight Voice Assistant. The Yeelight product line is known in China for smart home products and includes smart lighting that integrates Cortana for voice control. Yeelight Voice Assistant looks identical to an Echo Dot and will start shipping in China in late January. This is not Xiomi’s first smart speaker. The company launched the Xiaomi Mi AI smart speaker in July. That product was priced at just 299 Yuan or about US$45 but did not list Cortana integration. The price for the Yeelight Voice Assistant is listed as 199 Yuan or just over US$30 at today’s exchange rate. That puts the pricing at about the level that Amazon Echo Dots and Google Home Mini’s were selling during the holiday season, but 40% less than their list price. More important for Xiaomi today is that it is much less than the US$99 cost of the Alibaba Tmall Genie and the US$256 Raven H from Baidu. There is a model of the LingLong DingDong from JD.com that is listed at 199 Yuan so Yeelight will not have the low end of the market entirely to itself. What all of this shows us is that the Chinese smart speaker market has quickly become even more dynamic and competitive than the U.S. market. Cortana news has been relatively infrequent the second half of 2017. The Harman Kardon Invoke smart speaker with Cortana launched in October and soon appeared for sale at 50% off its $199 list price. 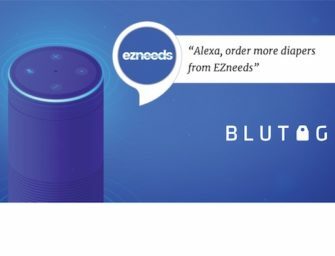 Voicebot saw this as more of an effort to move inventory than drive store foot traffic. The lack of voice apps for Cortana compared to Amazon and Google is an issue, but the bigger problem may be the absence of an entry-level smart speaker device with a low price point. Xiaomi’s Yeelight provides Microsoft with two new opportunities. First, it will offer Cortana an immediate smart speaker presence in China and other Mandarin-speaking countries. This presence will precede both Amazon and Google which have provided no indication of their plans for supporting the Chinese market. This no doubt supports a broader Microsoft strategy about true global availability of Cortana on both PCs and smart speakers. Second, the Yeelight smart speaker would seem to be a good fit for distribution in the U.S. and other countries. The low price point would provide Cortana with a entry-level device for consumers and business users alike. In addition, Cortana supports German, Italian, Spanish and French. Xiaomi could start shipping to all of those countries quickly and provide Cortana with an immediate global footprint beyond Windows devices. Skype and PC integration may make these devices attractive to a global audience. Microsoft Cortana has had a tough 2017, seemingly making little progress while Amazon Alexa and Google Assistant leapt ahead in user adoption and functionality. The Xiaomi partnership could turn things around and become a catalyst for Cortana to become more competitive on the global voice assistant stage.